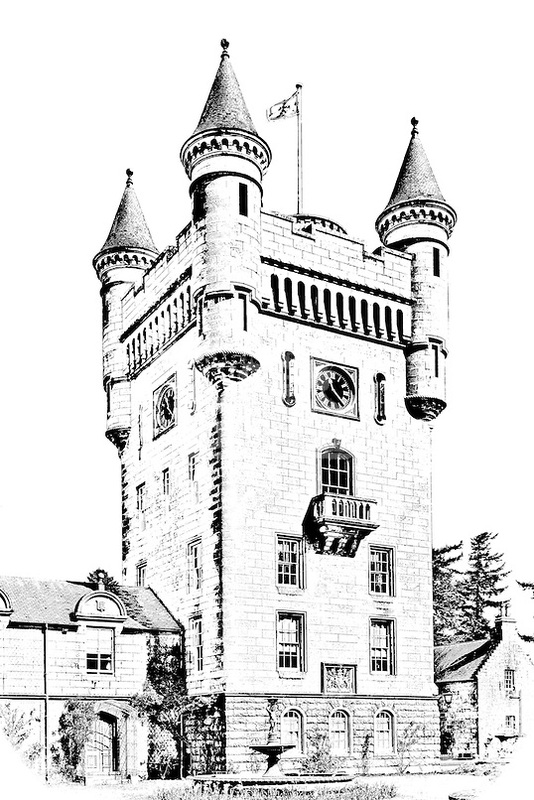 Line drawing photo effect of Balmoral Castle, the Scottish retreat of Queen Elizabeth and the Royal Family. The Queen's dwelling on Royal Deeside, Scotland, originally purchased by Queen Victoria. dSider Royal Deeside online magazine, photography courses.